Specifications︰ The VLT 2800 series is among the smallest multi purpose drives in the market. Designed for space saving side-by-side mounting. Choose to have it with e.g. Motor Coils, RFI filter, LC+1B filters. 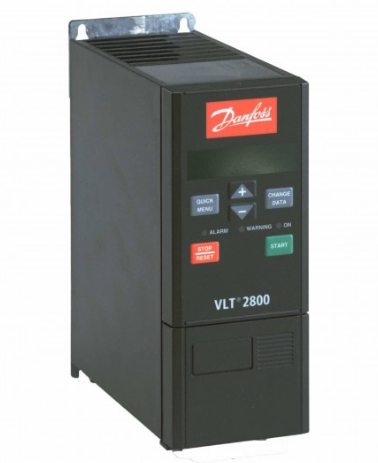 The VLT 2800 is an advanced and versatile drive, easy to operate. The quick menu includes all parameters basically needed for commissioning the drive. Offers fast installation and service.